Brandon Valeriano is the Donald Bren Chair at the Marine Corps University and a senior fellow at the Niskanen Center. You can follow him @drbvaler. The recent book release of Understanding Cyber Conflict looks promising and hopefully will stir debate on cybersecurity issues. The book uses analogies to reason through cybersecurity challenges and possible solutions. A recent survey of foreign policy experts commissioned by the Council on Foreign Relations lists a highly disruptive cyberattack as a tier 1 threat to the United States right along with North Korea and terrorism. Yet, solutions to the challenge have been less than forthcoming. At the book launch, one of the panelists and authors remarked that the major powers would never give up their new technological tools. Many use this reasoning to suggest that these practices are unlikely to be regulated by legal regimes. Analogies are incredibly useful as teaching devices. Reasoning by analogy has a central place in the classroom. Without analogies, academics would be left without imaginative devices to reach an audience. Analogies help an audience grasp concepts easily, the problem is this does not mean that analogies are useful for policy. The central issue is that the failure to find one example to meet a conjecture does not mean that an idea is not plausible, rather it might expose the limitations of reasoning by analogy. Big examples cloud our judgement as to the possibilities and limitations of an argument. While it is difficult to think of examples when states willingly give up major weapons platforms, examples are common. Diving into my favorite forgotten analogy to cyber weapons, balloons, might be a useful exercise. Yes, hot air balloons, as in blimps, dirigibles, and Zeppelins (Aerial Warfare from 1909 is a recommended resource). Balloon companies served in combat during the Civil War (1861-1865), the Boer War (1880-1), and the Franco-Prussian war (1870). Although their main purpose was as battlefield spotters, the idea of using balloons to terrorize far off cities was in the public imagination at the time with the Austrians launching balloons against Venice in 1859. The Hague peace conference of 1899 was mainly convened to establish procedures for disarmament and an arbitration court. Russia also proposed a goal of limiting the potential harm of new technological weapons. Among those technologies discussed were balloons, leading to the Hague Treaty (IV, 1) “prohibiting launching of projectiles and explosives from balloons, and other methods of a similar nature” for a period of five years. 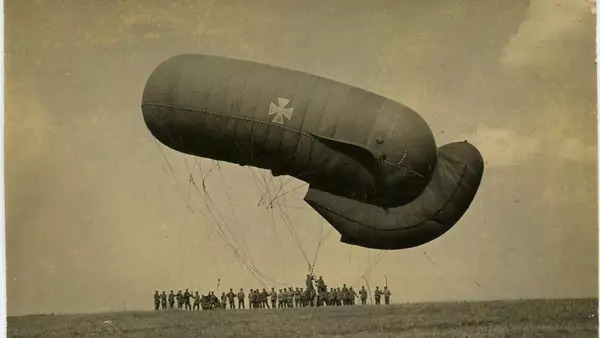 Most major powers might have been ready to give up on the potential of balloons for warfare because they were impossible to steer. The Japanese broke the treaty and used them as bombing platforms during the Manchurian war (1904-05) while the Italians used them against Tripoli in 1911-12. Of course, all this became moot quickly during World War I as heavy biplane bombers came into service and balloons were mainly relegated to spotting and defensive purposes during World War I and II. The British attached heavy cables to balloons and floated them above vital targets in the hopes of clipping attacking bombers. The fear of balloons remains. In 1977, the movie Black Sunday is premised on the idea of terrorists using the Goodyear blimp to attack the Super Bowl. Even as recently as 2015, news outlets were reporting that ISIS was planning on using balloons to attack the West. Balloons even remain relevant in the age of cyber conflict since they can be used as a means of spreading the internet to North Korea, exacerbating political warfare there. The example of balloons and the legal limits states placed on them during the turn of the century suggests how actors can choose to limit the use of aggressive and dangerous technologies. Even major powers will restrict their use of such weapons if they are equally compromised by the threat of these weapons or they see little utility of the weapon on the battlefield. The dangerous nature of cyber weapons when leveled against civilians, their general ineffectiveness as a tool of coercion short of war, and fear that the development of cyber tools will spill into the open all help restrain the use of cyber weapons for dangerous effect. States might be willing to limit the use of cyber weapons so long as all remain vulnerable to their effects, which looks like an enduring and common challenge. There are past examples where dangerous tools were limited in the use of war for aggressive purposes. Theorizing by analogy is of little value if the imagined examples are not exhaustive enough and the right examples cannot be found. Instead of destruction, balloons during World War I were used for espionage purposes. Cyber conflict might look much the same way in the future, with the main utility of cyber weapons being that of tools for sabotage and espionage. There are examples when legal regimes, institutions, and normative goals were shared by the major powers limiting global destruction, but reasoning by analogy is of limited utility if policymakers and academics fail to think creatively or actively seek policy solutions.